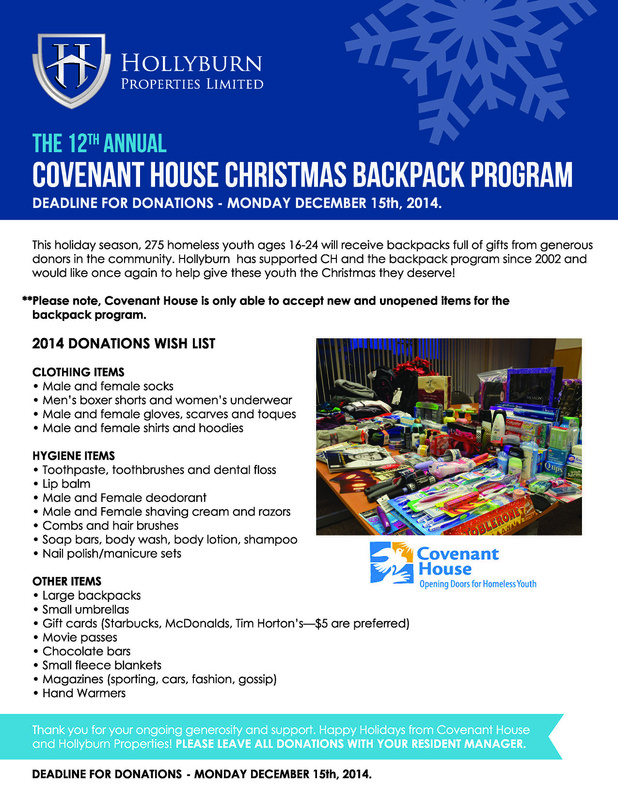 Please consider donating a small gift item from Covenant House’s wish list below. Donation bins can be found in each Hollyburn lobby in Vancouver and Toronto. Your contributions make a world of difference in the lives of homeless youth.